The paradox of pain must be explained. Believers need to grasp the specific reason and particular purpose of their pain. Right? Do you have to understand the Why and How of your suffering in order to be a faithful Christian? In Glorious Ruin, Tullian Tchividjian marshals a variety of theological resources to equip his readers to answer this query with a resounding, No! As pastor of Coral Ridge Presbyterian Church in Florida, Tchividjian writes with a pastor’s heart and from a pastoral context. He explains that the book began as a series of sermons on the book of Job “following a very painful season of life” (p. 13). Beginning with the assumption that “suffering is suffering, and it is universal,” Tchividjian aims “to explore how the reality of human suffering, in all its forms, might relate to the truth of God’s liberating grace in a way that is both honest and comforting” (p. 15). Tchividjian engages the problem of pain in three parts. He first reflects on the reality of suffering. Tchividjian demonstrates that suffering is inevitable, serious, and something believers should be able to encounter honestly. Tchividjian next examines two typical responses to this harsh reality. When facing hardship, we tend to moralize or minimize suffering. To moralize suffering involves thinking that painful situations are the consequences of some negative action or disobedience. This perspective asserts, “If you are suffering, you have done something to merit it. Pain is proof” (p. 100). Tchividjian illustrates this approach by examining and critiquing the prosperity gospel (which says suffering is due to a lack of faith) and the “gospel of self-transformation” (which says suffering is simply an opportunity for self improvement). To minimize suffering involves “any attempt to downplay or reduce the extent and nature of pain” (p. 120). This approach always looks for the it’s-not-so-bad-silver-lining in every painful situation. The “underlying assumption” here is that “if the Holy Spirit is working, the sufferer would feel better” (p. 122). To minimize pain is to believe that “if I just do the right thing or just obey enough, God will be pleased, and I will hurt less” (p. 130). Tchividjian seeks to offer an alternative to these responses in the final step in his reflection, which focuses on the cross of Christ. Rather than minimize or moralize suffering, Tchividjian encourages believers to embrace the “freedom of defeat” (p. 139). Because the gospel includes a savior who has already suffered on our behalf, a believer can cling to his promises and “weighty mercies” in the midst of pain. Rather than holding on to our own ability to handle and even understand suffering, “God wants to free us from ourselves” and “there’s nothing like suffering to remind us how not in control we actually are, how little power we ultimately have, and how much we ultimately need God” (p. 143). “The cross,” Tchividjian asserts, “makes a mockery of our attempts to defend and deliver ourselves” (p. 131). The suffering in this life, Tchividjian concludes, “reveals to us our greatest need—our need to be set free from false hopes and to cling to the only hope of the gospel” (p. 159). Tchividjian ends his book by pointing to future hope. As he says, “Pain and suffering loosen our grip on this temporal life” (p. 177). With this understanding, “deeper suffering can lead to deeper surrender” (p. 177). 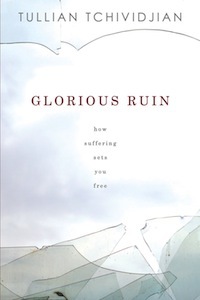 The Christian has the promise not of “freedom from suffering,” but rather “freedom in and through suffering” (p. 175). Perhaps the most helpful insight that Tchividjian develops is that believers are not required to understand the anatomy of suffering in order to redeem it. They must simply cling to their redeemer. Christians do not have to minimize or moralize their pain. They have the freedom to fail, and this failure includes the inability to respond rightly in the midst of inexplicable pain. You do not have to burden yourself with the pressure to explain or even understand why you hurt, or how it will all work out in the end. The Gospel allows us to cast away this “the idol of explanation” (p. 152). Tchividjian writes, “Amid our glorious ruin, Jesus is strong, so we’re free to be weak; Jesus won, so we’re free to lose” (p. 169). This type of hope “doesn’t require your understanding anything. It doesn’t require anything of you, in fact, because it required everything of Jesus” (p. 181). One lingering concern regarding the overall message of the book relates to the matter of perspective. Tchividjian provides a clear demonstration of the reality of suffering and gives an incisive critique of various attempts to minimize and moralize pain. However, when he provides his own response in the third section of his book, there might be room for those same critiques. In other words, some of Tchividjian’s formulations might be viewed as a subtle form of moralizing or minimizing. For instance, he begins his discussion of the “freedom of defeat” with a story of a man who lost his social and financial standing due to scandal. This situation led to brokenness and a restoration within the family. Tchividjian notes that this story is “a powerful testimony of how suffering can liberate us” (p. 141). In this case, the failure “was his gateway to freedom” (p. 141). Though “there is zero sense that he viewed his crisis as an avenue for personal growth,” Tchividjian adds, “yet real transformation did happen!” (p. 141). In a personal example, Tchividjian recounts a painful season at his church and also the things he learned through this relational suffering. He clarifies, “This is not to say that every cloud has a silver lining, or some such nonsense. That would be a minimization. It is only to say that if the past five years have taught me anything, it is this: I would never have received any clarity about the beauty of the gospel if I hadn’t first been forced to face the ugliness of my sin and idolatry at the foot of the cross” (p. 153). In this section of the book there are several similar clarifications (e.g., pp. 141, 153, 175). These examples do not easily and intentionally moralize or minimize the pain, but the end result bears at least a family resemblance to these responses. In the first, the painful situation was put into perspective by the outcome of restored relationship, and in the second, the season of suffering was outweighed by the spiritual formation that resulted. Though this tension might be better addressed more directly (rather than with parenthetical asides), Tchividjian seeks to demonstrate that what redeems these responses is their connection to the Redeemer. This alternative approach still seeks to reckon with suffering and still looks to make the most of painful situations, but it does so firmly within the context of the gospel message that Jesus has both suffered on our behalf and freed us from the need to be able to understand our pain. The Christian response is not that believers will not suffer, but rather that “God [will be] somehow present in it” (p. 112). The hopeful word that a believer can offer is that “God is right there, not somewhere else” (p. 123). Jesus was sent not only to suffer in our place “but also to suffer with us” (p. 195). This point is the hinge on which Tchividjian’s entire response to suffering turns. If this element is removed, Tchividjian maintains, then any response will be marred with misguided optimism or hurtful moralizing. The gospel does not require that you suffer like a rock star but rather reminds you that “the good news is that God is hanging on to you” (p. 196). I am saddened that this type of book is necessary. With pastoral sensitivity, Tchividjian reminds me that this sadness is not necessarily an improper response to the “problem of pain.” This sadness can be redeemed by one who felt that sorrow more deeply than myself and has already accounted for my miserable failure to make sense of suffering. By his “ruin,” he has redeemed ours. It turns out that the only balm in Gilead is the presence of the suffering savior. The burden of this little book is to remind us that this is gloriously enough. 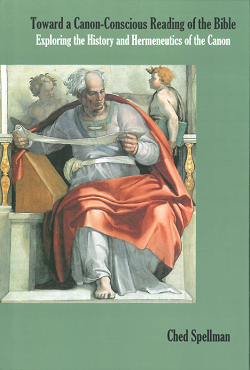 A version of this review also appears in Themelios 38.2 (August 2013): 332-33.